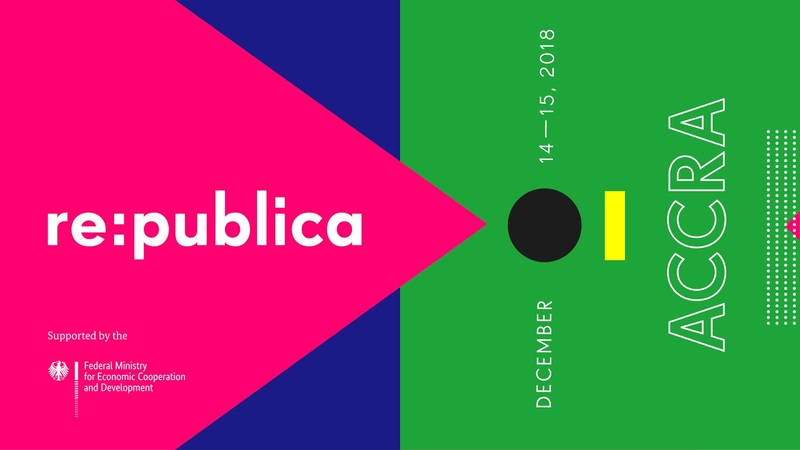 re:publica, Europe’s largest conference on digital and social topics, is set to be hosted in Accra, Ghana and for the first time in Africa. The event which is set to host politicians, entrepreneurs, bloggers, scientists and activists will be held at the “Round Pavilion at the Trade Fair” in Accra on 14 & 15 December 2018 under the theme: NEXT LEVEL. The German Federal Ministry for Economic Cooperation and Development (BMZ) who is the main partner of the first re:publica on the African continent will also present inspiring sessions which will be used to discuss how digital technologies with innovative solutions can contribute to mastering global challenges. One of the keynote speakers for the event, Nanjala Nyabola, an author will be speaking about the limits of technology in her talk “What Technology Can’t Fix”. Mozilla Foundation Executive Director Mark Surman will be in dialogue with other high-profile participants on a panel about internet access. The architect and anthropologist Sénamé Koffi Ag - bodjinou, initiator of the platform “L'Africaine d'architecture” and founder of WoeLab, is speaking at the re:publica Accra about “Future Cities”. A multifaceted evening programme will also be held to connect artistic perspectives with digital topics and across continents. Presentations will include the internationally renowned artist Kudzanai Chiu-rai from Zimbabwe and a screening of We Live in Silence with a live soundtrack by the award-winning musician M.anifest, who’s been described by The Guardian (UK) amongst others as “the foremost rapper on the continent”. Tickets for the re:publica Accra are available for less than 6.50 US-Dollars/33 Ghana Cedi for both days of the conference with our partner eGotickets. Key partners for republica in Accra include: Impact Hub Accra, Accra Metropolitan Assembly, MESTI, GOETHE Institute, DW TV, Mozilla Foundation, Avance Media, Tech Nova, Citi TV.